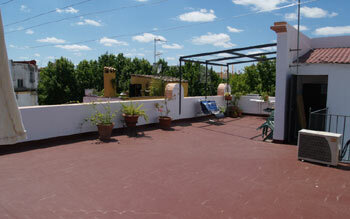 Seville online ES · Apartments: Alameda-Barco apartment in Seville - Andalusia, Spain. Very nice apartment for longer stays in the center of Seville, in a refurbished classic Sevillian building next to the popular Alameda de Hércules, the biggest open space in the center of Seville. The appartment has relatively easy access and several bus-connections. Many (tapa)bars and terraces are just around the corner and the market and shops of Feria street are a stroll away. You're also at only five minutes walk from the river and from the authentic heart of Seville (la Campana). 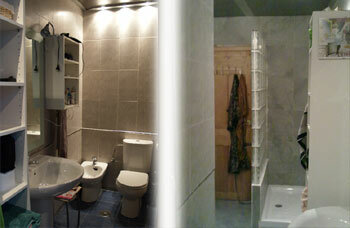 New kitchen and bathroom with all facilities. To confirm a booking a downpayment of 20% is requested, refundable on cancelling with more than 2 weeks ahead. Satellite photo and "orientation map" for the Alameda.